With the launch of the Intel's new Z270 Express chipset all large motherboard vendors have updated their micro-ATX models. At the moment there are seven different models available and prices range from 100 up to 190 Euro. This article will allow you to compare all these boards in order to find the one most suitable for your needs. 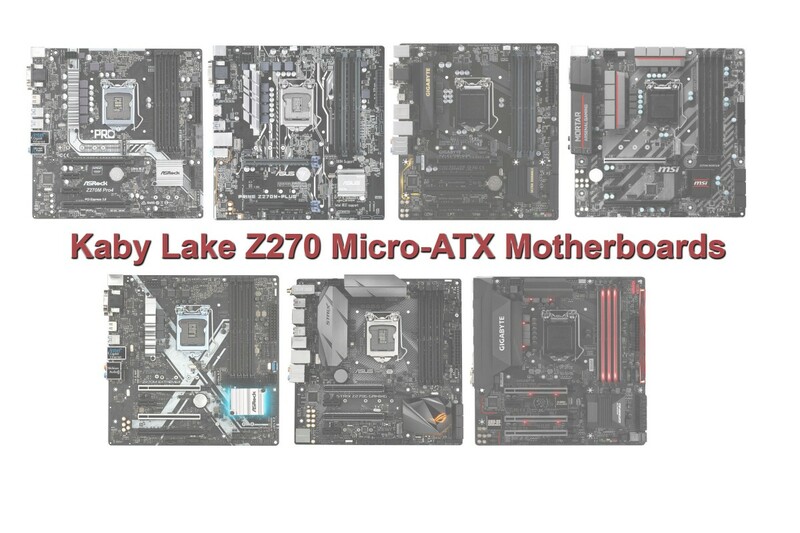 In this article we're going to show you all the different micro-ATX motherboards, which are available as of today. There are quite a few interesting socket LGA1151 Z270 products around, no matter whether you're an overclocker, gamer or office user. Although these boards are small, they feature an extensive amount of features and therefore there are rather big price differences. Nevertheless we believe there is something for everybody. If you're looking for a micro-ATX motherboard this article is going to help you compare the different features and prices, so you'll end up with board that suits your needs the most.